Paul Thurrott of WinSuperSite reported Monday that Windows 8.2, also known as Threshold, will include a Start menu as well as the ability of Windows 8 or “Metro” apps to run on the desktop itself. Microsoft has yet to confirm the report, and given that Windows 8.2 “Threshold” is being bandied about as a early 2015 release, there’s certainly time for Microsoft to cancel its decision (or redesign a Start menu several times). Microsoft representatives did not return a request for comment by press time. Will Windows 8.2 users have the option of never seeing this again? Think about it, though. 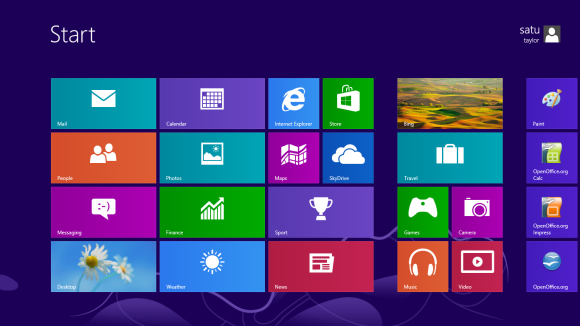 As a technical achievement, adding a Windows 7-style Start menu to Windows 8 is rather small potatoes. But it underscores Microsoft’s recurring fear: Windows 8.1 didn’t go far enough. Instead, to boost Windows 8 out of the sub-10 percent cellar it currently resides, Microsoft apparently feels that Windows 8 needs to provide a Windows 7 experience to those who want it. And with the ability to boot to the desktop, access apps via the Start menu, and launch Metro apps via Windows on the desktop, there seems to be a good chance that users will be able to bury the Metro-styled, Windows 8 Start page where it will never be seen again. A more unified vision of Microsoft’s OSes? Threshold reportedly points towards a future where Microsoft is moving toward a more unified OS vision. ZDNet’s Mary Jo Foley reports that the current thinking is three OSes: two consumer versions, as well as a enterprise version. The former two OSes would be more frequently updated, with the latter option providing a more managed solution for businesses. Over time, Microsoft has indicated, it will may move toward a more holistic approach—which, as ZDNet’s Foley has reported—may begin with the Windows OSes sharing high-value activities like Office and games. What this means for Windows RT and Windows Phone is still anyone’s guess. As we all know, Windows 8 is a bipolar mix of an OS geared toward the traditional PC—the desktop—as well as Metro apps optimized more for content consumption. One of the objections to Windows 8—and to Windows 8.1—was that desktop users could not exist entirely independently, as they were forced back into the matrix of Windows 8 Live Tiles to launch a new application. And that’s been the foundation for an entire ecosystem of “Start menu” apps. More than a year on, that doesn’t seem like much to ask to an experienced Windows 8 user. But as we’ve written time and again, that initial Windows 8 Start page can be daunting to the Windows 8 newbie who lands in the brave new world of Windows 8. On the other hand, if Metro apps can now run inside a desktop window, that Microsoft may have gone a bit too far. Some Metro apps, including Foursquare, are arguably better than viewing the same content on a webpage. But, c’mon: do we really need a safety rail to keep users from being lost on the Start page? It’s not that bad. Still, if Thurrott’s report is true, then you’ll surely see the phrase “U-turn,” “stunning reversal,” and others to describe Microsoft’s change of heart. And they’ll be right. But give credit where it’s due: Microsoft’s development teams may indeed be feasting on humble pie this Christmas. But they’ll also be giving the gift that many have asked.